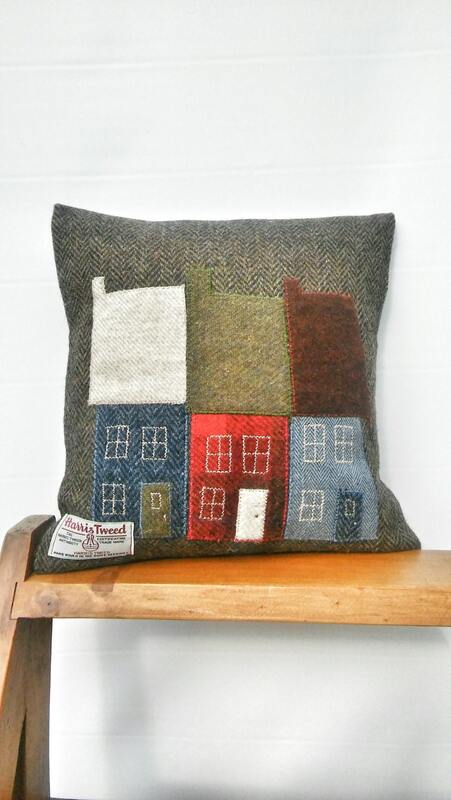 Hand crafted Harris Tweed Town House Design embroidered cushion cover. 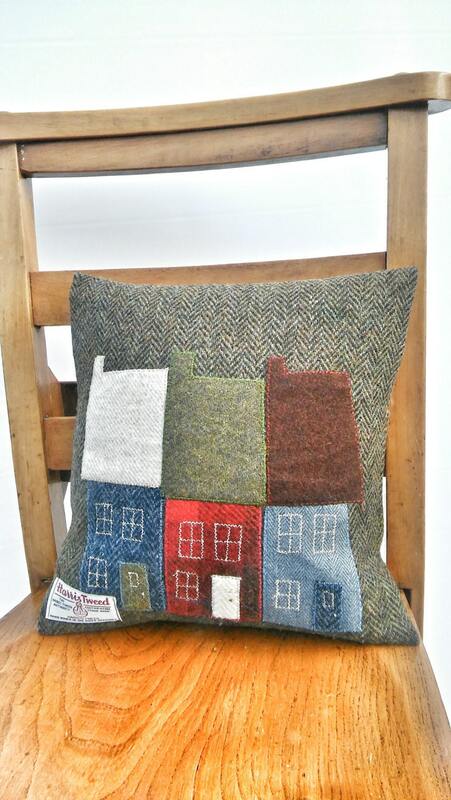 Hand crafted brown herringbone Harris Tweed cushion cover. 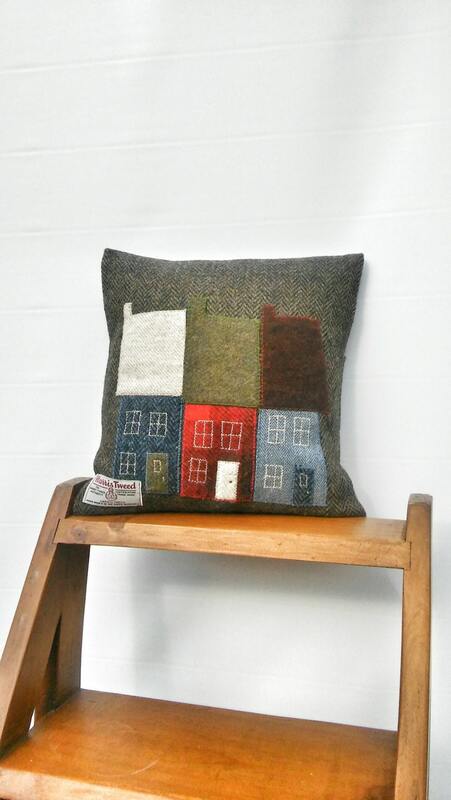 Three little townhouses were hand drawn and cut out of Harris Tweed and embroidered onto the cushion. This cushion cover would fit 12 by 12 inch filler (filler is not included). It has an envelope style opening at the back. Dry clean only. The official Harris Tweed Orb label is sewn onto the front.